We’ve been on a little trip. A couple of weeks ago, Ed, the girls and I flew to Las Vegas, rented a car and drove to the Grand Canyon. It was the first time I have been there, and it really is GRAND. My stomach still does flip flops when I think about walking to the edge of the rim and looking down. It was a long, long way down. I was behind a fence, and it was still terrifying. Poor Lily and Emmy had their hands squeezed in a death grip by their father and me every time we were close to the edge. The Grand Canyon is completely and totally drop dead gorgeous. The sight of this immense hole in the ground is just amazing. I took picture after picture of the Canyon, knowing that they would never do it justice, but I just couldn’t help it. I just kept taking them! 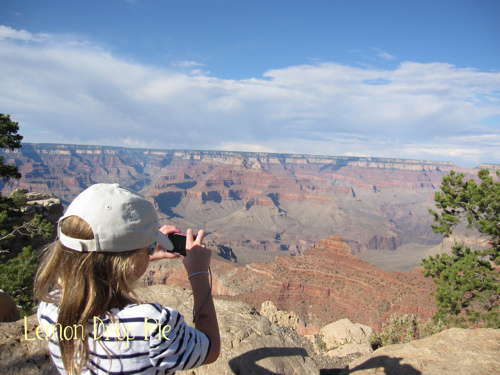 Lily taking pictures of the canyon that is grand! Ed and I loved how the Canyon kept changing. The shadows in the morning were so different from the shadows in the evening. 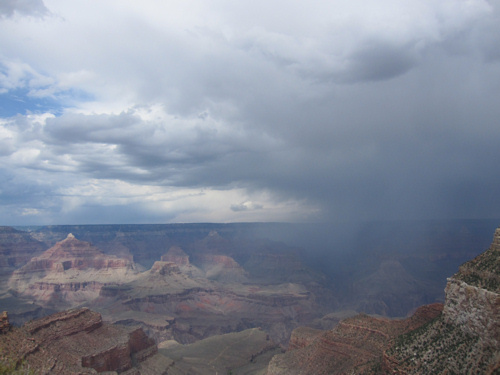 Clouds passing overhead made dark spaces and one afternoon a thunderstorm settled into the canyon, scaring Emmy with its thunder and lightning. The plateau at the top of the Grand Canyon was also surprising. Since it is about 7,000 feet above sea level, the temperatures were very pleasant, even in August. We were surrounded by a forest. As you go into the canyon, however, the temperature rises and the desert takes over. 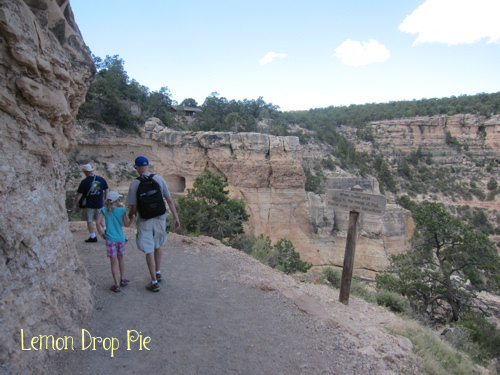 We ventured very little below the rim; the hike down is too much for two little girls…and probably too much for Ed and me as well! Maybe in a few years we’ll go a little farther. Hiking a short way into the canyon…watch out for mules! Oh, that would definitely be on my to-see-list! Once I have visited every single Norwegian climbing mountain that is (as my friends and colleagues seem to try to get me to do). My husband and I drove from Vegas to the Grand Canyon a few years ago. It is truly beautiful and I also took a ton of pictures. I love how the storm clouds look above the canyon! That’s the way we went. It was very easy to fly into Vegas and drive the rest of the way! Thanks for sharing your photos! I’ve never been there, but I’d love to visit someday. Definitely put this trip on your bucket list! HEY…you should apply for a writer’s residency in the National Park system! I can’t wait to hear more! I’ve never been to the Grand Canyon. I flew over it once on a cross country flight and the pilot told us to look out the window, and wow, there it was. My mind could never conceive of the idea of what it must look like, even after seeing photos. So I get what you mean about photos not telling the whole story. I want to go! If you have a chance, go to southern Utah and see Zion and Bryce National parks. 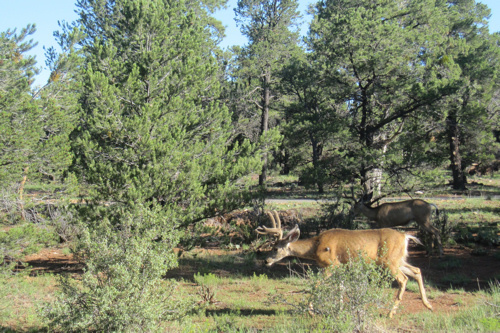 They are equally amazing and along with the Grand Canyon are all part of the Colorado Plateau. There is a continuation of erosion with Bryce being the least and the Grand Canyon the most. Those parks were on our original itinerary, but then we realized we had to come back a day early since school was starting! We will definitely be going back. Instead, we went to two other National Parks…I’ll be writing more in the next few days! Thanks for commenting, Janette!